John is an artist and educator in South East Michigan. John Ward has hosted 38 Episodes. Join us for our very special Easter Spectacular, as we talk about stigmata after watching the "Eye Stigmata" episode of Foamy the Squirrel. This week we discuss the properties of a hauuunnntteeedd toaster in our first episode covering Foamy the Squirrel! This episode we exchange Big Bunny for Executive Housing and we can't help but miss the gluttonous rascal. This week we discuss illicit office supply affiars and sartorial cats after watching Big Bunny's "Business" episode. 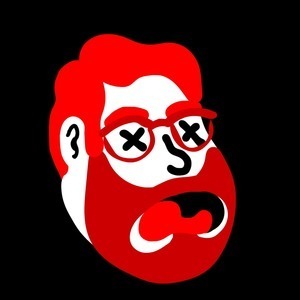 We've taken over our own podcast, WITH ANOTHER PODCAST! Join us as we re-introduce The Minute Podcast! Red, the color of passion, of blood, possibly... of man-kind's very soul. This week we discuss the Big Bunny episode, "red." Much like your local convenience store, we've decided to focus on a holiday over two months in advance, with this Big Bunny holiday special, "Easter." This week we learn there's really no down side to selling your soul to the devil after watching Big Bunny episode 3, "Suzy." This week Paul and John analyze the process of jam making while enjoying another great Amy Winfrey cartoon, "Big Bunny - The Delicious Dog." Join us for the beginning of it all as we watch the Pilot episode of Happy Tree Friends, "Banjo Frenzy." This episode we analyze the legacy of surrealist film through the lens of the Happy Tree Friends episode titled "Eyes Cold Lemonade." This week we are decking the halls with guts and gore as we watch the seasonally appropriate Happy Tree Friends Kringles. 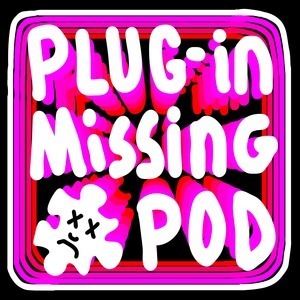 Badgers, Mushroom, Snake, we got it all here on this episode of Plug-in Missing! This week we're watching Weebl's viral Flash animated music video, "Badgers." Join us as we watch NEW Flash Animation and discuss "Xombie: Dead Ahead" the latest season of Xombie being currently developed by James Farr. This ends our Xombie Series for now, we're obviously really looking forward to more Xombie: Dead Ahead in the future! This week we wrap the first story arc of Xombie with Episode 10 - Hallowed Grounds!